What Does It Mean To Be A Master Of Mindfulness? 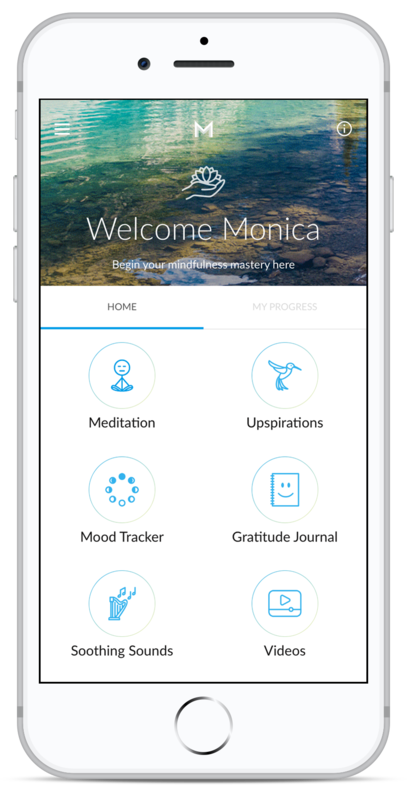 Watch this short video by our founder Monica Ortiz to learn what mindfulness is, why we’ve created this app, and how it will help you cultivate more mindfulness in your life. Meditation, upspirations, mood tracker, gratitude journal, soothing sounds & videos, loving this app... must have when you need to unwind or just need a little pick me up and motivation. This app is like Headspace, Sigma, and inspirational content all in one. As a yoga teacher, I recommend it to my clients. Thanks!! This is truly an all in one mindfulness app. Live meditations, the gratitude journal, and the mood tracker are really awesome features of the app everyone wanting to be more mindful should check out! Love this app! This is an amazing app. To start my day I always have a cup of coffee and read through some of the inspirational quotes. I also love the gratitude journal and mood tracker, they go hand in hand. At the end of the day I listen to the soothing sounds, a great way to unwind after a busy day. If you like meditation, yoga, spirituality, and are looking for a tool that really combines all aspects of Mindfulness together, this is it! Our meditations are designed to help you center yourself, dispel outside pressures and expectations, helping you move forward in a more positive state of mind. Our upgraded inspirational quotes also come with instructions on 'How To Apply it To Your Life' so you can start putting the words into action immediately. Mastering gratitude begins with being mindful of all that you have in your life and acknowledging them. Log these things and watch your world blossom. Achieve a healthy state of mind by tracking your emotions daily. Discover what affects you positively or negatively, then decide what to do about it. Calm your mind, body, and spirit anytime with a selection of songs that have soothing, healing tones designed to bring you back to a more peaceful you. Check in with app founder Monica Ortiz and watch her 'Mindfulness Minute' videos to discover more ways to improve your every day. Learn to meditate in a fun, stress-free way with the simple 7-7-7 breathing technique, it's the same practice we use in our meditations.